Studio Pixel, the one-man studio responsible for giving us the original Cave Story, last Friday released its first iPhone and iPod touch game, Azarashi [$.99]. 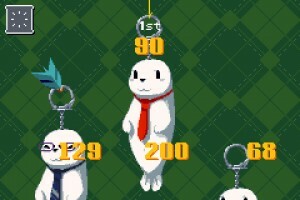 It’s as minimal as it is pure in focus; in it, you attempt to catch three seal keychains before they fall to the ground, and at the end of the round you are scored on your speed. Hit too early and you kill a delightful little seal, but do it just fast enough and you’ll earn more keychains to catch after all three rounds are over. 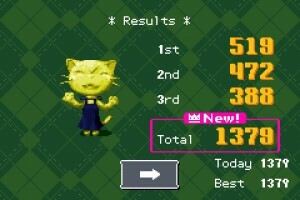 Cave Story is brilliant, by the way, and the PC and Mac versions are still free. If you’ve got some extra computer time today, we highly suggest you give it a look.